The DELTA has been very popular. 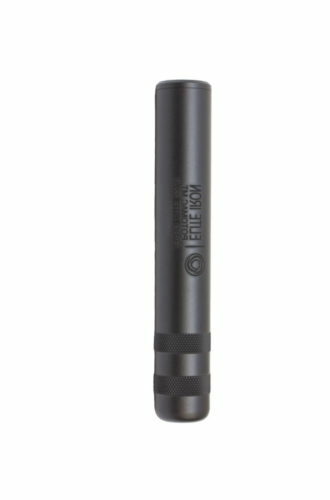 In response to this we have created the DELTA LITE similar performance in a lighter package. The DELTA LITE suppressor is available in a variety of different popular calibers, it is a favorite among varmint hunters. 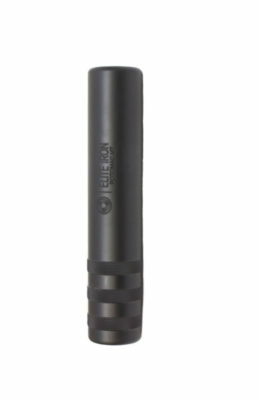 This suppressor is suitable for both bolt action and semi-auto rifles. 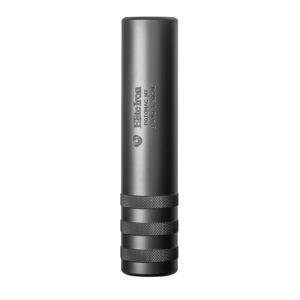 To add your DELTA Lite Suppressor to the cart, you must select your caliber, your thread and the color for your Free wrap. SKU: n/a. Categories: Suppressors, .223 / 5.56, Direct Thread. 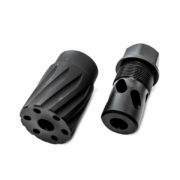 Tags: .223/5.56, 22-250, 243 WIN, 6.5 Creedmore, 6.8, 6mm, Lightweight, Silencer, suppressor, titanium. Caliber: .223, 22-250, .243, 6.5 cal. and 6.8 cal. This EliteIron suppressor can be used with a wide variety of calibers for semi automatic or bolt gun weapon configurations.